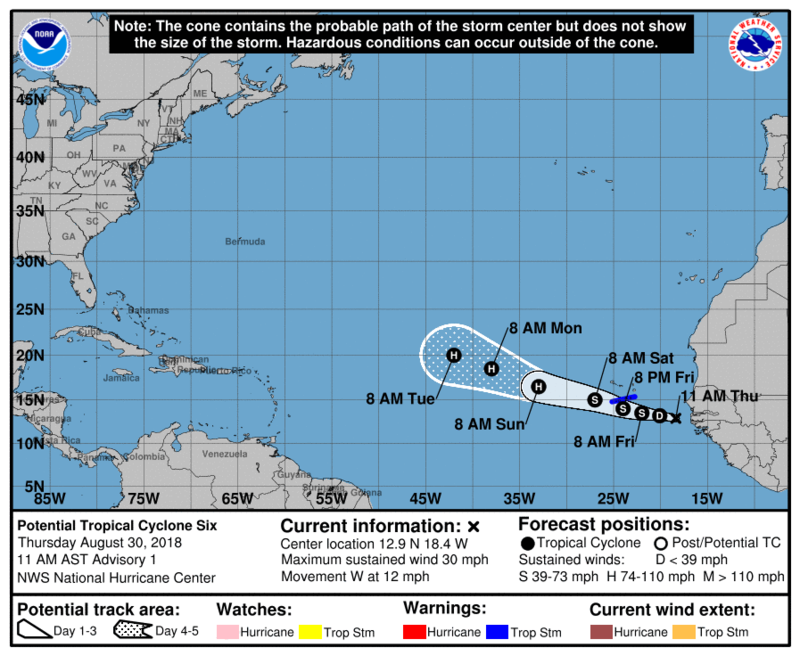 NHC will initiate advisories at 11 am EDT on Potential Tropical Cyclone Six, located east-southeast of the Cabo Verde Islands. I went ahead and made this post sticky as the forecast projection moves this up to a Hurricane in the next couple of days. guidance calls for strengthening and so does the NHC forecast. the output of the global models. Florence’s forecast track is adjusting westward significantly. Florence made it Hurricane status. Florence will definitely be one to watch in the long-term for the East Coast. Florence is starting to get some East Coast attention. Spotted a story about it this morning on a Virginia station. The GFS is on drugs, to put it lightly. I’d hold the horses about a U.S. threat. Yeah, the media is already hyping it due to a 8 day model solution, but there is a HUGE uncertainty. Already up to a major hurricane, that was unexpected and quick. Oh jeez.. wait until the national media gets ahold of the 18z GFS run.. that would be a disaster for the Washington-Baltimore corridor. Moving west now. Her she comes. Carolinas seem to be directly in the cross hairs. The NHC official forecast at 120 hours is calling for a 130 mph category 4 hurricane. Hoping the models trend back more toward out to sea, and not the other way.